Among many children in care, and the adults who look after and support them, nerves will be no less frayed. And as with all groups of children, there will be a mixture of celebrations and disappointments. Too often, though, despite many success stories, much of the interest in the educational progress of children in care has focused on the gap between their achievements and those of children not in care. I think it’s now generally understood that, in isolation, this gap is a simplistic and misleading measure of the impact of care on the progress made by looked after children. 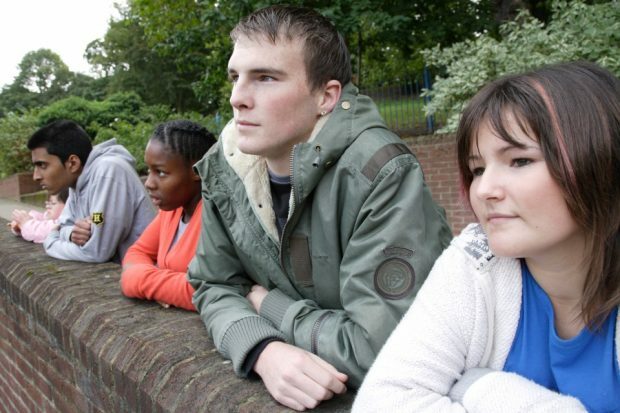 Comparing the attainment of children in care with that of their peers doesn’t take enough account of those children’s experiences before they were looked after, or the high proportion of children in care with special educational needs. And it contributes to a stubborn and negative misconception that care, in itself, is damaging to children. This is demoralising both for the children themselves and for the adults responsible for their education. Critically, it adds to the stigma already felt by many looked-after children. The Rees Centre’s research on the educational outcomes of children in care was published in late 2015. It confirmed what social care professionals have known for some time. When the care system works as it should, children will usually do better at school than they would have, had they not come into care. These findings were a timely and welcome morale boost to all the carers and staff who work tirelessly day-in and day-out on behalf of children. More recently, Dave Hill’s ‘Changing the Narrative’ campaign has been a central part of his tenure as president of the Association of Directors of Children’s Services. And it has continued to challenge the received wisdom that care itself is ‘bad’ for children. Our social care annual report followed a similar theme in 2016. We reported that that the sector should be proud of the quality of care that so many looked-after children now experience. We were confident in saying that. It’s what our inspection findings tell us. We regularly see many great examples of foster carers, social workers, virtual school staff, teachers and others working together with passion and commitment to help children and young people achieve brilliant things. We have a responsibility to tell the true story about what is happening for children in care and what is working best to help them. But perhaps we don’t always get it quite right. For example, I am aware of concerns that inspectors sometimes focused too much on – and are expected to report on - year-on-year comparisons between the attainment of cohorts of children in care. I’d like to slay that myth. There is no such expectation. I accept that our use of data in reports has developed over time. This is probably giving the impression that we are comparing attainment between cohorts. However, we are clear that inspectors must present attainment data and any analysis of overall progress in the proper context. Our inspections have, for some time now, focused squarely on individual children’s experiences and progress. This is crucial if we’re to tell a fair and balanced story about how well children in care are supported to learn and do well at school. Inspection is not a desk-top exercise. So, what do we mean by progress? Progress is not always straightforward, and the guidance for our new social care common inspection framework sets out our expectations as clearly as possible. Inspections take into account each child’s starting point and their current circumstances. We know that progress in one area may coincide with problems in another as children work through the impact of their past experiences. We are also keenly aware that progress in a particular part of their life, however slight, may represent a significant improvement for some children. This doesn’t mean that we have lower expectations of or lack ambition for children in care. It doesn’t mean that we think any progress, however small, is enough. All children need support and encouragement to do as well as they possibly can in their education. So even when inspectors find that children have made progress, if we believe those children could have achieved even more with better support, we will say that clearly. What’s important is that adults know children well and are able to care for them, unconditionally. Some children, for example, will not be able to engage with education until later in life. Like all children, children in care need the adults in their lives to stick with them through their difficult times. The people who know those children best will understand how to help them reach their potential. As always, I’d be delighted to hear what you think. And, of course, best wishes and good luck to all children sitting exams this summer. A really encouraging blog. A focus 'squarely on individual children's experiences and progress' Whether a slight change of focus or not for OFSTED it is welcomed. A corporate parent, like any parent wants children to make progress. If a child could have achieved more we should all say that clearly but not in comparison to siblings ...or children not in care.